Mandel Charles Sprachman was born in Toronto on January 15, 1925. 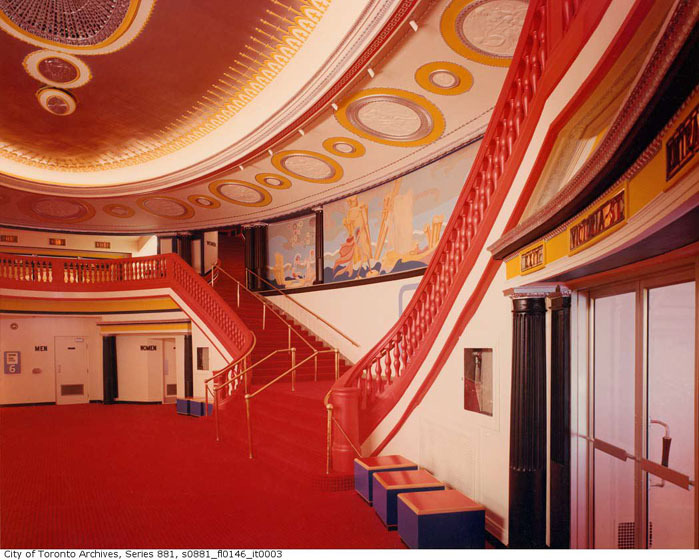 His father, Abraham Sprachman, was a partner in the architectural firm Kaplan and Sprachman, noted theatre architects who designed between seventy and eighty percent of all movie theatres in Canada between 1919 and 1950. Mandel Sprachman graduated from the University of Toronto School of Architecture in 1953. After working for one year in Stockholm as a draughtsman, he returned to Toronto and joined his father’s firm. In 1958, Sprachman established his own architectural practice. From early to mid-career, Sprachman practised with Marvin Giller. Although it was a full partnership, Sprachman held controlling interest in the firm. Like his father Abraham, Mandel Sprachman also specialized in cinemas and theatres throughout his career, culminating in the award-winning restoration of the Elgin and Winter Garden Theatre in the 1980s. Mandel Sprachman died in Toronto on February 11, 2002. The records of Sprachman’s architectural practice were acquired by the City of Toronto Archives in late 2002, consisting of approximately 70 metres of textual, photographic and architectural records and 500 rolls of architectural drawings, dating from the 1950s to the 1990s. These records are rich in evidential and informational value. They document the many facets of architectural design and implementation. The degree of completeness of the documentation for most of these projects, especially the larger ones, is notable. A significant amount of material, perhaps as much as one-third of the acquisition, is associated with what many consider to be Sprachman’s crowning achievement as an architect, the restoration of the Elgin and Winter Garden Theatre, 1985–1989. Of the remaining material, close to half of it relates to other cinema and theatre-related projects in the greater Toronto area. These include restorations and renovations to existing structures, plus the construction of new ones. Given Sprachman’s central role in the restoration of historical theatres and his prominence as an innovator of new cinema and theatre formats, these records will be of special interest to anyone interested in the history and architecture of Toronto’s theatres and cinemas.